From the Airport we must take the way to Santanyí. 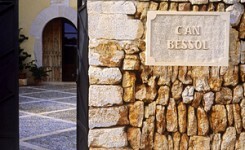 Once in Santanyí, we must go to S'alqueria Blanca, Calonge and finally, S'Horta. Just before arriving to S'Horta we find the roundabout that appears on the map. When we pass through s'Horta we find the church at the left hand. 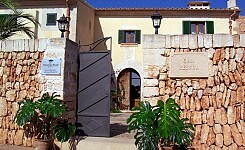 From this point we must take the third street at the right, on the way to Cala Ferrera. In the road to Cala Ferrera, at 1 Km. 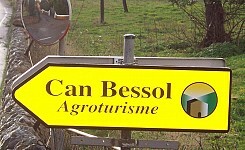 from s'Horta we'll find the sight of Can Bessol that points to a small road to the left hand. 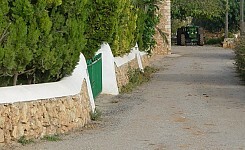 The entrance to the Can Bessol car park is some 45 metres down this lane. 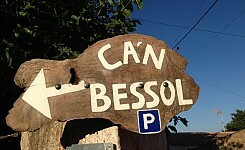 It is indicated by a wooden sign saying Can Bessol. 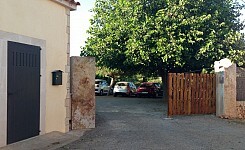 We include some photos of the direction signs, the lane and the entrances.